So while I was in Orlando, Florida, last week I stopped into a J.CREW Outlet store. It was great! They had tons of cute things and I picked up several pairs of there 3″ shorts. I love them. They fit perfect. I wanted to go back and get more but we ran out of time. When I got home I searched online and found that they have a J.CREW Outlet store online that you can purchase items from. Score! 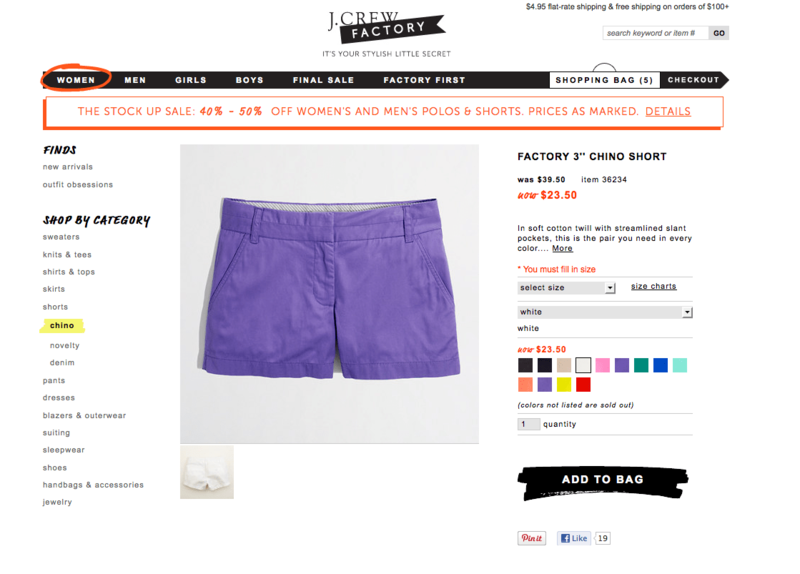 If your still scooping out shorts for the Summer I highly suggest giving these a try and at $23.00 you can’t go wrong! Does one offer guest writers to write content for you? I wouldn’t mind producing a post or elaborating on many of the subjects you write in relation to here. Again, awesome web log! Hi yes, we do offer guest posts. Please email me at info@momfabfun.com if interested. Thanks for reading!